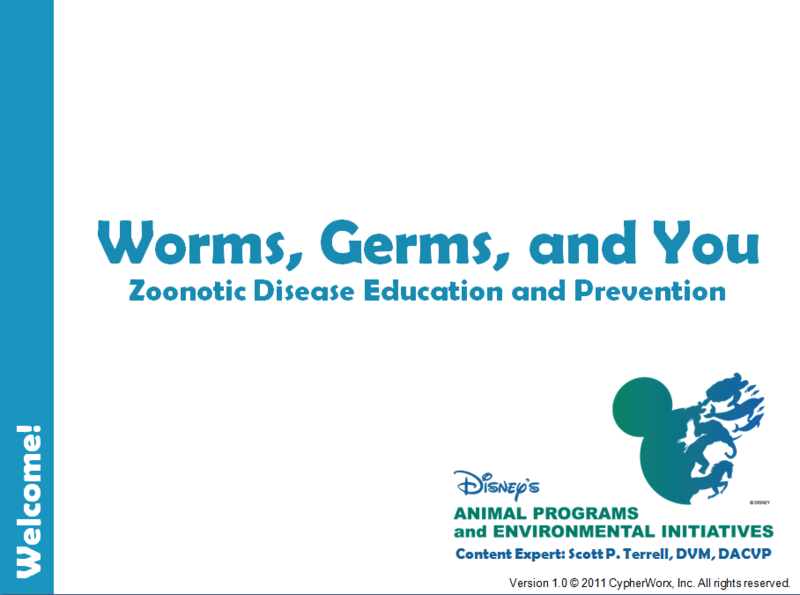 Worms, Germs, and You is an introductory course to the basic principles of zoonotic disease education and disease prevention. You will learn about some basic disease biology and terminology, as well as a variety of prevention techniques to be applied at work and at home. Finally, a few zoonotic disease examples will reinforce lessons learned and help you apply some of this information to real disease scenarios. When remembered and practiced, the material in Worms, Germs, and You will greatly decrease your chances of contracting a zoonotic disease.